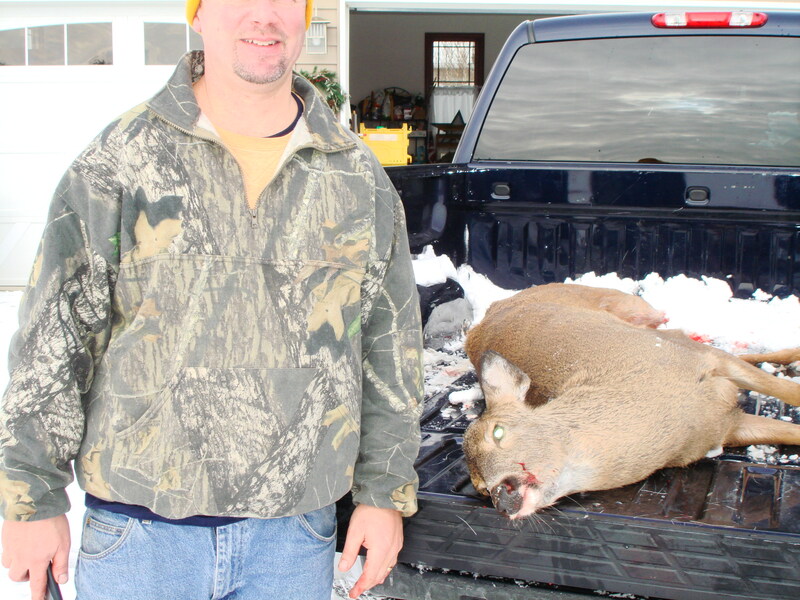 Deer steak is awesome and so is the benefit of providing food for your family. God rest her soul, she was not shot in vein. We’ll say a prayer of thanks to God like always. Let us tell you it wasn’t an easy day. Snow, sit, freeze, wait, freeze more, shoot, gut, clean, drag, show the kids, tag, take to government tagging station, hang to bleed out, clean gun, store gun in safe, wash blood covered clothes,and next week back to the butcher for steaks and ground kielbasa! Just in time for New Year’s Eve. Not that it really has anything to do with it but if you haven’t seen The Deer Hunter http://en.wikipedia.org/wiki/The_Deer_Hunter now is the perfect time. The film stars Robert De Niro, Christopher Walken, Meryl Streep, John Savage, John Cazale, George Dzundza and Chuck Aspegren. We’re not giving away the ending but…The film ends with the whole cast at the wake, singing “God Bless America” and a toast. If you are not already a member may we suggest the NRA membership as the perfect holiday gift at http://home.nra.org/#/home. As America’s oldest civil rights organization, the NRA’s mission is to preserve and defend the U.S. Constitution, especially the inalienable right to keep and bear arms guaranteed by the Second Amendment. Kill to eat. Humans excluded.